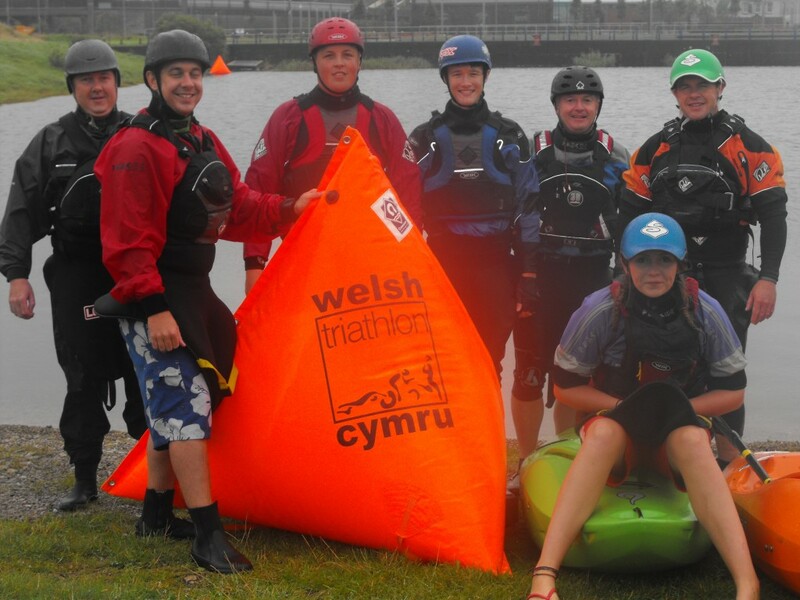 Amman Valley Paddlers provided superb water safety cover yet again this year for the two Triathlon’s organised by Healthy Life Activities. The Llanelli Sprint Triathlon in May included a 750m swim in the North Dock Llanelli. In September the Llanelli Standard Distance Triathlon involved a swim of 1500m. The water cover was essential. Healthy Life Activities were able to make a donation of £700 to the Amman Valley Paddlers which will go towards assisting the club with the development of canoeing in the Amman Valley.